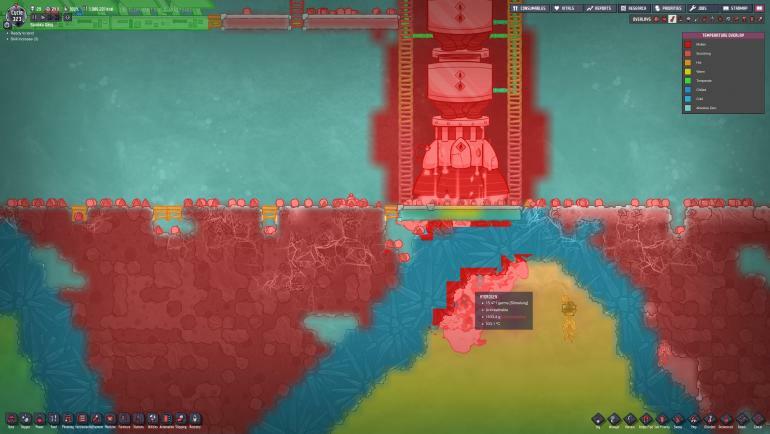 When the rocket takes off or lands, the heat of the CO2 exhaust ignores the ground beneath it and penetrates through without breaking the tiles it is penetrating. The CO2 does not penetrate, just the heat so it's possible this is intended although it seems a bit extreme. Screenshot from rocket landing. Same thing happened when taking off. Save file is 0.5 cycles before the landing. Build a rocket on an abssalite base that has atmosphere beneath it. Note temperatures during/after launch/landing.